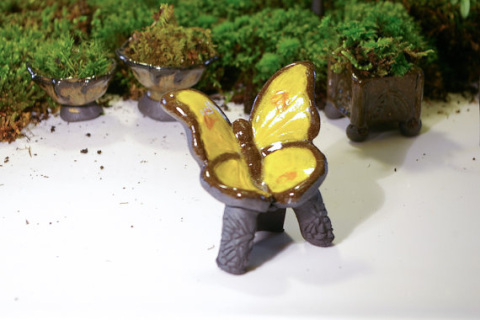 Adorable handmade butterfly chair to display in a miniature garden. Perfect for tea parties and the like. Each one is custom painted and no two are alike.